You Are Here: Home > What is a Toyota Certified Used Vehicle? Our certification process keeps you in mind every step of the way. 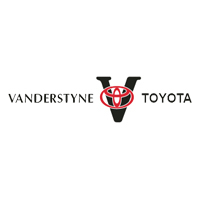 The TCUV standards apply from the time a Toyota dealer acquires the vehicle through to the final sale. Each candidate for certification can be a current model year vehicle, up to and including six year old models, with 85,000 miles or less on the odometer. Prior to the rigorous 160-point inspection every certified Toyota goes through, a CARFAX® vehicle history report is reviewed to ensure that only the best of the best vehicles receive the Toyota Certified Seal of approval. 1 Whichever comes first from date of Toyota Certified Used Vehicle purchase. The Limited Comprehensive Warranty covers any repair or replacement of components which fail under normal use due to defect in materials or workmanship. (Program not available in Hawaii. )2 Whichever comes first from original date of first use when sold as new. See your Toyota Certified Used Vehicles dealer for warranty details. Program not available in Hawaii. For AL, FL, GA, NC & SC, warranty coverage differs in the following ways: 7-year or 100,000-mile Toyota Certified Limited Powertrain Warranty coverage begins on January 1st of the vehicle’s model year and zero (0) odometer miles and expires at the earlier of seven years or 100,000 odometer miles.